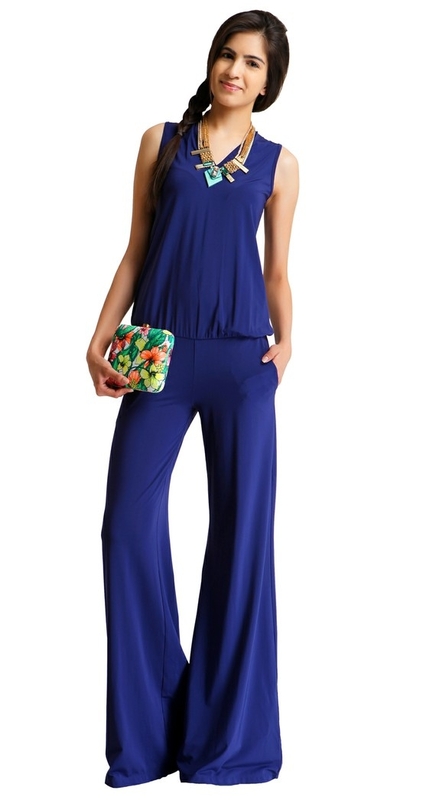 Formal jumpsuits come with cool features like plunging neckline, being off shouldered, backless design and so on. Comfortable to carry off in any corporate get-together or formal party, choose the colors according to your choice for a sparkling and lively appearance. Check out for more stylish formal jumpsuits in the following list of images. The deep neckline camouflaged with a criss-cross pattern is uniquely vivacious. The full sleeved black jumpsuit with a little peekaboo essence increases your oomph factor. Make an excellent selection of the navy blue formal jumpsuit for your corporate parties on the cards. With the sleeved lace design and comfortable fabric, sport a dewy makeup look. 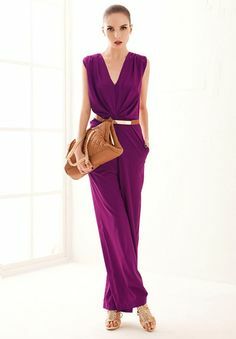 Purple is the bright color that can glam up your look anytime. Comfortable and classy, with perfect makeup, sport a chiseled cheek and jawline along with a bright lip color, and be an avant-garde one to stun everyone.